I first came across Elizabeth von Arnim when I picked up a copy of The Enchanted April in Waterstones some 20 years ago and thought 'this looks interesting'. I purchased it, went home, read it in two hours and came straight back into town and Waterstones and bought the other three on the shelves. Since then I have never looked back and have managed to track down the out of print, old, unknown titles over the years. On one never to be forgotten day in Cambridge, some years ago, I found a treasure trove of E von A in a box outside a bookshop, lovely blue bound editions at the princely sum of 50p each. I swooped, I grabbed, I practically fainted and they all came home with me. One of hers eluded me for ages. The last title I needed to complete my collection - In the Mountains. I had been searching for some time and found a copy, but at £150+ I decided that I would give this a miss. Did another search and noticed that Virago were going to reprint it. so I pre-ordered it and waited and nothing happened. It vanished from my Amazon basket and when I contacted Virago they said it was not going to be published after all. I was furious. And, as you will see, I have a collection of battered and old second hand copies of her works that I have tracked down over the years. Many of them are available now in newer editions but I treasure these copies and will never get rid of them. Many of Elizabeth von Arnim's output are very very funny. Elizabeth's Adventures in Rugen, Christoper and Columbus and Fraulein Schmidt and Mr Anstruther come to mind, and a rather neglected title, An Introduction to Sally which chronicles the fatal effect a simply stunningly beautiful girl has on all around her, reduced me to hoots when I first found it in a second hand bookshop, but many of them are thoughtful and with hidden depths. I am thinking of Love, the story of an older woman married to a much younger man, Mr Skeffington and, of course, her masterpiece, Vera, which portrays the story of a mentally abusive marriage to a possessive and controlling husband quite chillingly. The most delightful of all her books though is, of course, The Enchanted April which I have now read numberless times and I treasure the copy I have which is the original Virago edition which I found in a second hand bookshop. How I love exploring these places where you never know what you will find. From the pictures you will see that I have two copies of The Adventures of Elizabeth in Rugen - one the faithful Green Virago edition and another I picked up in Hay on Wye and simply could not leave on the shelf, purely for the illustration at the beginning. Christine was an early book written by Elizabeth von Arnim, but hidden behind her maiden name of Alice Cholmondeley. It is a series of letters from her daughter who was working as a nurse at the front in the first World War. This book was not popular in Germany as it was seen as 'anti-German' by the government. Elizabeth at this time was married to Count von Arnim so the publication of these letters would not have gone down well. Hence, the pseudonym. This edition was published in 1917 by the Macmillan Company, New York with a lovely cover and printing and inside a greetings card to Nelly from a Mr Russell O Snyder from Wilkinsbury, Pennsylvania. I wonderws just who Mr Snyder was and why he gave this to Nelly - was she his sweetheart, his wife, his daughter? A slightly odd and unusual book to give as a Christmas present considering its content. "I thought I would just mention this coincidence regarding the dedication in your copy of Christine. My husband's great grandmother was Ellen Shillam who emigrated to the USA and married a Mr A R Snyder. Her youngest daughter, she was a widow, accompanied her, her name was Nell. Perhaps Nell was a little young to be reading Christine if she was given it in 1917 when it was hot off the press. It is probably stretching coincidence too far to suppose she was the actual recipient but the two names struck me when reading the post and it would be nice to think you identified a previous owner of the book"
To say I was gobsmacked when I read this was putting it mildly. How simply wonderful that I have in my possession a book given as a present to a long gone relative and that somebody in the middle of Australia read my post and wrote to me. I have the email tucked into the book and will treasure it along with the card inside. "We share our griefs; and anything there is of love and happiness, any smallest expression of it, should be shared too. That is why I am leaving out nothing in the letters. The war killed Christine, just as surely as if she had been a soldier in the trenches................I never saw her again. I had a telegram saying she was dead. I tried to go to Stuttgart, but was turned back at the frontier. Her last two letters reached me after I knew that she was dead". Reading Christine's letters is like reading anything written by Elizabeth von Arnim. The wit and style of her mother is there and also the eagle eye spotting hypocrisy and cant and mercilessly exposing it. It is very sad reading these pages knowing that she died so young. She was not killed by a bomb or any act of war, but pneumonia probably brought on by tiredness and overwork. "Goodnight my own mother. I've had a happy week. I put my arms around you and kiss you with all that I have of love. Christine". I have been wanting to re-read Arnim for some time and, as I enjoy a winter project when the nights are cold and the curtains are drawn, I have decided to take them down from my shelf and visit them once more. I shall keep you posted. Along with most of us I suspect, I only knew Dodie Smith as the author of 101 Dalmatians and it remained this way until in my mid-forties I came across a battered old green Virago edition of I captured the Castle and realised it was the same author. I read it and loved it and that was that. I knew no more of her or anything else she had written for years until I read Look back with Love, my current book of the month, re-issued in the lovely Slightly Foxed Editions. Won't repeat myself, here is what I said then and this delightful tale set me in search of the other volumes of autobiography available. It goes without saying that I am reading them in the wrong order, but this is because I reserved them at the library where they had to be dug up out of an archive somewhere in the bowels of Essex and I have to take 'em when I can get 'em. So the fourth one first - Look Back with Gratitude and this covers her life in the US during the war. Her husband, Alec and their Dalmatian Pongo, set sail for New York to see America and to check on her play Dear Octopus which was running in the Big Apple. Alec was a conscientious objector and part of their departure was to avoid him being conscripted into the war in any way and though this was not advertised as the main reason when they left, I doubt that many of their friends were unaware of this. They lived in California and were drawn reluctantly in the film world, mainly because they paid well and they needed the money but they made many lasting friendships there including Christopher Isherwood, whose story about Sally Bowles became a successful play, I am a Camera. It seems that Alec was the person who suggested this. Isherwood at first pooh poohed the idea but then took it on board and the results are well known. "Of course I had known I should miss Alec, but during our wild rush to get me off I hadn't had time to think just how much I should miss him......I felt ill with a sense of loss....during our thirteen years in Amercia we had been separate for less than half a dozen nights...now we shouldn't see each for months. Was he as distressed as I was?" Well, yes he was and on checking her biography it seems that they both lived well into their nineties and their happiness was total and enduring. I have now reserved Dear Dodie by Valerie Groves at my library as I feel I need another viewpoint other than that of Dodie herself. Last year I read all of the Journals of LM Montgomery, heartbreaking in places, and then a biography and it was incredibly interesting to see the emotional outpourings of the journals were harnessed within the biography and a balance created. So looking forward to the same when the library lets me know it has arrived. All of these books are out of print but seem to be available on Abe Books, Amazon etc and if you are interested in this author, they really are worth a read. It was only after starting this Dodie binge that I discovered, serendipity of the highest order, that several of her novels are being reprinted, The New Moon with the Old; The Town in Bloom and It ends in Revelations. These are being published by Corsair in March 2012 and I will be trying to lay my hands on copies of same. “A large family should be a specially happy community, but it sometimes occurs that there is a boy or a girl who is nothing but a middle one, fitting in nowhere. Henrietta Symons is such an one, being the third daughter in an upper middle class family with parents who are so indifferent towards their children, one wonders why they had them in the first place. Henrietta, known to her family as Etta, was a fifth child and a third daughter. Nobody was interested in her, her brothers and sisters treated her with indifference and it was not until another baby arrived that she found an outlet for her affection. Of course, babies grow up and find others to love and as the age gap between the two sisters was wide, and the younger daughter was sent off to school, this relationship also falters. Etta has a forthright attitude and a very bad temper and never learns how to control it. She lacks social graces to an amazing degree and yet, and yet, she attracts the attentions of a young man. He pays her compliments, he appears to be very attracted to her, marriage seems to be on the cards, and then her elder sister comes home and decides to annexe him for herself. Not because she is particularly interested in him but just to show she can do it and poor Etta loses her one and only chance to be a married woman. When reading The Third Miss Symons I thoughts of two titles by EM Delafield - Consequences and Thank Heaven Fasting - both a perfect illustration of a woman's place at the time they were written and the heroine in each knowing that her main role in life is to marry. In Consequences we see the dreadful results of a how a heroine, in many ways as gauche and unloved as Miss Symons, leads a pointless and sad existence because of this. In Thank Heaven Fasting the heroine finally manages to marry and Oh the relief when she does and she doesn't have to worry about it any more even if all she feels for her bridegroom is tepid affection. Etta knows now that she will never marry and as she watches her brothers and sisters find their partners, her isolation becomes worse as she realises even more that though she may yearn for love and affection, it is never going to come her way. If she were a modern woman she would probably say 'well, sod them all' and get on with it and that is more or less what she does. So what does she do? Well, nothing really. She never marries, never gets a job and shows no interest in academia or music. She travels widely, but it seems to me that this is merely a form of wandering to fill in her time rather than interest in new places. Everywhere she goes she grouches and complains and is bad tempered as she is now under no pressure to conform to any kind of expected social life and, in the end, this is what made me rather admire this unlikeable character. She did what she wanted and if nobody liked it or her, as I said earlier 'sod them all'. I read this book straight through and, as it is pretty short, took me just over an hour. I was on the flight home from Sydney and all the irritations of air travel and the fact I was uncomfortable and could not sleep, were kept at bay during my reading. 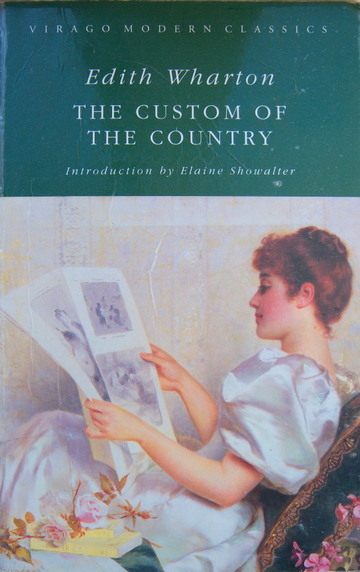 The two illustrations in this post are the Green Virago edition which I am going to keep an eye out for, and the Kindle edition which I read and, while I am happy to keep certain books as e books, I simply have to physically own a copy of this Virago. A few years ago I went to a book sale here in Colchester and came across a little pile of books by E H Young. They were all in the wonderful Virago green cover editions and were being totally ignored in the mad rush to grab the Dan Browns, Danielle Steeles and John Grishams piled up on the trestle tables. This suited me down to the ground as I had spotted these from the far end of the hall as I entered and had made a beeline for them pretty sure nobody else would want them. But you can never tell so I pushed and shoved until I had them safely in my bag. 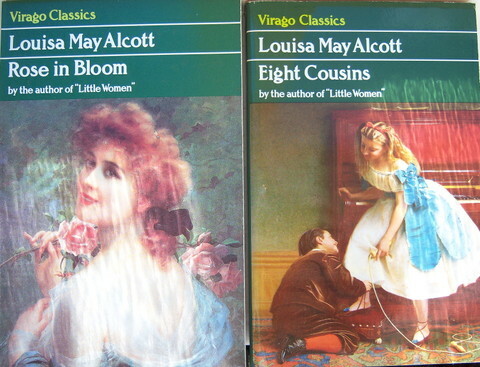 I knew nothing of the author but the fact that they were published by Virago was good enough for me and home they came, and went on my shelves and there they languished. Until last week when, surrounded by review and proof copies and unable to choose which one to choose, I decided to read Miss Mole. This happens to me quite often, sometimes a book will just call to me that it is time to be read and when the siren call comes, I don't fight it. a nursery governess or companion to a succession of difficult old women. She is now forty and has returned to the city of Radstowe where she lived as a child. She faces an uncertain future and has nothing to look forward to but a lonely and poverty stricken old age and at the start of the book is well on the way to losing her latest post. Miss Mole has a sense of the ridiculous and a quick wit which she has to keep well under wraps as employers don't care for this but it breaks out and has lost her countless jobs. "Who would suspect her for a sense of fun and irony, of passionate love for beauty and the power to drag it from its hidden places? Who could imagine that Miss Mole had pictured herself, at different times, as an explorer in strange lands, as a lady wrapped in luxury and delicate garments...?" Hannah has a rich cousin living in Radstowe who prefers not to acknowledge her as she mistrusts this mischievous streak and is wary of getting involved in case she has to pull her out of a scrape or, worse still, financially support her. On her recommendation Miss Mole becomes housekeeper to a non conformist minister, Reverend Corder, a widower full of pomposity and self satisfaction, whose motherless daughters are sorely in need of care and good food. Also living with the family is the Reverend's nephew, Wilfred, who has no truck with his uncle and goes his own sweet way. He unerringly spots that Miss Mole is concealing her real character and it is with him that sometimes she relaxes and lets her true nature peep through much to his delight. On the odd occasion when she forgets and strikes a note of levity with Reverend Corder she runs perilously close to being asked to leave but manages to keep herself under control, though he views her with a vague mistrust and a feeling that all is not as it should be. I cannot tell you how much I enjoyed this book. It reminded me very much of Miss Pettigrew Lives for a Day by Winifred Watson, published by Persephone. Miss Pettigrew is in the same situation as Miss Mole, at the beck and call of anybody who will employ her and she, too, faces a dreary and lonely future. But as with Miss Mole, Miss Pettigrew has an inner strength which comes to her aid and allows her character to blossom. However, unlike Miss Pettigrew, Miss Mole has had a lover in her past and a secret that she conceals knowing that she will be ruined if the truth is revealed and this becomes very likely when another person from her past turns up in Radstowe. I am not sure if this title still in print, but if you can I do urge you to obtain a copy. I was entranced by Hannah, her wit and humour and above all, her bravery. So pleased I have another four by this author awaiting my attention. Finding these books was serendipity of the highest order. When I was painting my bookshelves last week and all my books were in heaps on the floor, I had a bit of a clear out (not a big one, just a few books went) and I realised that I had duplicate copies of many books. I remember my mum always used to ask me why I wanted another copy of a title and difficult to explain why. So I had a look today at some of my multiple copies and had a think and there are very good reasons why I have them. Well, I think they are good reasons and I am pretty sure that all book lovers will agree with me. The Secret Garden - three copies of this. One is a larger illustrated copy I have had for many years, the second was a birthday present and a folio edition and the reason for my picking up the third is that the illustrations are by Shepherd of Winne the Pooh fame and are delightful. I also have two copies of Frances Hodgson Burnett's A Little Princess though one is, in fact, the slightly earlier version called Sarah Crewe which I found somewhere in a second hand book shop and could not resist. In fact, Frances Hodgson Burnett is one of the authors where I seem to have a lot of duplicates, Robin and Head of the House of Coombe; I have two old copies of each and one new. I have two of The Lost Prince and also two copies of The Shuttle. One is the Persephone edition, but sadly it has been edited so I am very happy that I have an old 1907 edition in brilliant condition which has the full text. The Making of a Marchioness - again, I have the Persephone edition but also a two volume edition which is how it was first published, The Methods of Lady Walderhurst and the Making of a Marchioness. I also have a tiny little copy of this book which I found at the back of a cupboard in an old bookshop in Hay on Wye and could not bear to leave it there. So home it came with me to keep the others company. We then come to EM Delafield and at the moment I have five copies of the Diary of a Provincial Lady. I have two copies of the old green Virago publication, found one at a book sale and, again could not bear to leave it behind (once I wear my other one out then I have a replacement), one with a Cath Kidson cover which not sure why I bought really as I think it is a bit twee, and then the Provincial Lady and the Provincial Lady Goes further in an old 1930s edition which I grabbed because of the wonderful illustrations by an artist called G Watt. I also appear to have three copies of Wind in the Willows, illustrations by Shepherd so that is a must and, even better, one illustrated by Arthur Rackham which is superb. Two copies of Elizabeth's Adventures in Rugen and I am indebted to Simon of Stuck in a Book who sent me the little Thomas Nelson edition as he could not bear to leave it on a shelf as well. I was delighted to receive it. I also have two copies of Christine by Elizabeth Cholmondeley who is Elizabeth von Arnim. This book is pretty anti-German and as she was married to a German at the time, it did not go down well so she used her maiden name. I posted about this book here, and a few days later received the most amazing email from a visitor in Australia and if you wanted to know what it said, then read it here. I was bowled over by its content. It seems totally illogical to have duplicate copies of books when one is limited for book space as I am and all my shelves are double stacked now as it is and heaven knows where I am going to fit any more, but when I see a book that needs a home I simply cannot bear to leave it behind. Have some catching up to do as books seem to have piled up over the last few weeks and though I have been reading, my posting is far behind. So am doing a round up over the next few days to get up to date. A Perfect Proposal - Katie Fforde. I never wait for Katie's books to come out in paperback and I don't beg for copies from the publisher either, I just order as soon as I see she has a new one coming up as I enjoy them so much. Light and sparkly and written with a deft touch there are no surprises, the reader knows all is going to end happily ever after, but they are such fun and such a pleasure to read. Had a bad day earlier in the week when the fact that Kathryn was now on the other side of the world hit me once more and A Perfect Proposal was the perfect antidote to my gloom. Sophie Appleby is the non-academic in a family of high achievers who tended to look down their noses at her practical skills, no matter that these skills help keep the family and her cooking and mending saves them from penury as none of them seem to have a proper job, preferring to concentrate on higher things. To teach her ungrateful relatives a lesson and to show that they cannot manage without her, Sophie goes on a visit to a friend in New York. There she meets and befriends Mathilda, a spirited old lady who invites her to Connecticut for Thanksgiving, an invitation which does not go down well with her grandson, Luke, who thinks Sophie is on the make. When I tell you that Luke is tall, blonde and gorgeous and that 'his eyes were, in fact a sort of golden colour, with dark rings round the irises', and that he is totally hostile towards Sophie then you will know exactly what is going to happen. And it Does. And I loved it. I do wish Katie would produce two or even three books a year instead of the measly one. Not too much to ask is it? The Case of the Gilded Fly - Edmund Crispin. A Gervase Fen mystery, in fact the first, set in the dreaming spires and domes of Oxford, published in 1944 so still on the edge of the so called Golden Age of Crime, this tells us of the murder of one Yseut Haskell, a pretty but spiteful young actress with a talent for destroying men's lives and who is found dead in a college room close to those of the aforementioned Mr Fen. Plenty of candidates for the murderer but difficult to find out who when the body is found in a room with closed doors and windows and at first glance appears to be suicide. I have not yet quite fallen in love with Mr Fen, who I find slightly irritating and all the characters in this particular title seemed to meet, love and propose to each other with startling rapidity - three alone in the final chapters. I am intrigued enough to seek more of these out and, in fact, have another waiting to go, but I am still not quite convinced that I like them yet. The WIngs of the Sphinx - Andrea Camilleri. When I first discovered the Inspector Montelbano stories I didn't much care for them but they have grown on me and now I am totally hooked. A dead body of a young woman is found in a dump with half her face shot off. Her indentity is at first unknown but then a tattoo of a sphinx moth on her shoulder links her with three other girls bearing the same mark, all recent Russian immigrants to Italy. Montelbano solves it all in his usual cavalier style while seemingly placing the demands of his stomach above all else and trying to deal with his long term lover Livia with whom he is having difficulties. Rattling along at a great pace, lots of humour and featuring, as always, the wonderful Catarella who mangles names and numbers and forgets messages, adores Montalbano and who keeps telling him that he has a visitor 'poissenly in poisson'. Wonderful and this latest is well up to standard and kept my glooms at bay for another day. The Three Sisters - May Sinclair. An old Green Virago I have had for some time (now out of print) and why I decided to read it this week, not sure, but read it I did. What attracted me was the fact that the painting of the Bronte sisters, done by Branwell, was used on the cover of the book and the story has Bronte'ish overtones as it tells the story of three sisters in a lonely parish in Yorkshire. Quite easy to imagine Haworth when reading. All rather gloomy and angst ridden but I was interested enough to read it right through though at the end I was left feeling Well, is that it? There is a Heathcliff character, a young farmer who takes to drink but is saved by the love of one of the sisters who marries him despite the fact that her father, the vicar, and the rest of her family oppose the marriage and think she is degrading herself. The eldest sister marries a doctor who is gradually worn down by the ties and responsibilities of marriage and his attempts to move away are thwarted. Shades of Dr Lydgate in Middlemarch here. The other sister ends up looking after their ailing father after a stroke and, in short, it is not a book to read if you are feeling somewhat depressed. Rather like Ethan Frome really - you should only read that book when in a chirpy mood else you feel like putting your head in the gas oven. Seething sexuality lurking under the surface all the time - we know why one of the sisters takes to her bed and why they had to leave the last parish because of her behaviour. The author doesn't tell us what but it is heavily hinted at so that we can guess. I have to say that by the time I was half way through The Three Sisters I found my thoughts turning to Cold Comfort Farm by Stella Gibbons and remembered that one of the characters in this title found 'something nasty in the woodshed' and was never the same since she saw it. We never find out what it is. All drawn with rather a heavy hand and the protagonists ripe for satire. Only my humble of course, and I am told that some of her other books are really good so may try another one when I come across May Sinclair which I probably will in my forays into second hand bookshops. Right that is enough for today. Still a few more to go but they can wait until tomorrow. I am obviously on a von Arnim roll at the moment as just before my wonderful purchase over the weekend, I spotted that at long last this simply gorgeous film is out on DVD. What took so long? I originally saw this some ten years or more ago and adored it so much I bought the video. This has been watched so often the tape resembles a lace doily and the tracking is appalling and sound dreadful, but I was reluctant to part with it until I could get hold of another copy. It arrived this morning and I am just delighted with it. This was the first Elizabeth von Arnim I read. I had been browsing in Waterstones and spotted the Virago edition, yes the green one, and pulled it down, took it home read it in two hours and was back in the shop later on that day to purchase the others that were in stock (if I remember rightly Mr Skeffington and Love and a couple of others) and here is a link to my original post. The story of four dissatisfied women who rent a castle for a month never fails to uplift and the first morning when Mrs Wilkins opens her eyes, sees the sun streaming across her bed and pulls the shutters wide and looks out, oh my goodness what a magical moment. "She jumped up, pulled on her slippers, for there was nothing on the stone floor but one small rug, ran to the window and threw open the shutters. "Oh!" cried Mrs Wilkins. All the radiance of April in Italy lay gathered together at her feet. The sun poured in on her. The sea lay asleep in it, hardly stirring. Across the bay the lovely mountains, exquisitely different in colour, were asleep too in the light; and underneath her window, at the bottom of the flower starred grass slope from which the wall of the castle rose up, was a great cypress, cutting through the delicate blues and violets and rose colours of the mountains and the sea like a great black sword. She stared. Such beauty; and she there to see it. Such beauty; and she alive to feel it. Her face was bathed in light. Lovely scents came up to the window and caressed her. A tiny breeze gently lifted her hair"
The cast is wonderful: Joan Plowright, Miranda Richardson, Josie Lawrence, Polly Walker and the male roles are taken well by Alfred Molina, Jim Broadbent and the simply unbeatable Michael Kitchen. The story line has been altered, but very slightly only and does no harm, merely pairing off a female character with a male protagonist and it works. My Virago edition has Josie Lawrence on the cover and delightful thought she is, I really dislike film tie in editions and kept an eye out for the original Virago edition of 1986 and eventually after a few years of keeping aforementioned eye out managed to get hold of one and here it is. This cover is 'Promenade on the Banks of the Amsted' so not exactly Italianate but I just love it, so elegant, so typical of these wonderful Green covers. "Colour, fragrance, light, sea; instead of Shaftesbury Avenue, and the wet omnibuses, and the fish department at Shoolbread's and the Tube to Hampstead, and dinner, and tomorrow the same and the day after the same and always the same..........."
If ever you feel this way, and let's face it, who hasn't, then this book and DVD is for you. On the left 'An English Rose' by Emile Vernon - on the right - 'The Young Gallant' by Edmund Eagles. "With the intention of making a suitable match, Undine Spragg and her parents move to New York where her youthful, radiant beauty and ruthless ambition prove an irresistible force. Here Edith Wharton dissects the traditions, pretensions and prohibitions of American and European society - both the ostentatious glitter of the nouveau riche and the faded grandeur of the upper classes"
Painting is "Looking at Drawings" Adolfo Belimbau 1854. 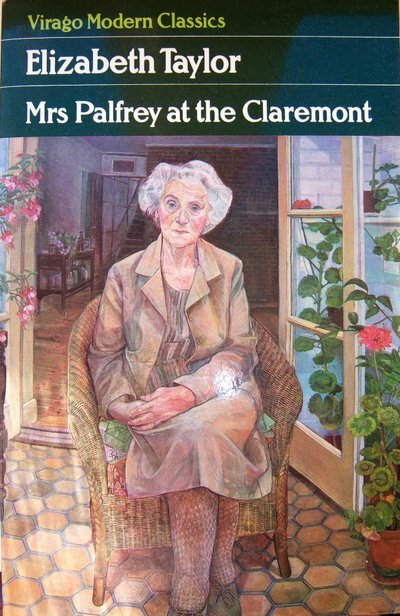 "One rainy Sunday in January Mrs Palfrey, recently widowed, arrives at the Claremont Hotel in the Cromwell Road. Here she will spend her remaining days. Her fellow residents are a magnificently eccentric group who live off crumbs of affection, obsessive interest in the relentless round of hotel meals, and undying curiosity. There is Mrs Burton with her mauve rinsed hair, her costume jewelery and her drinking; Mrs Arbuthnot, bossy and arthritic; Mr Osmond with his risque stories, his endless stream of letters to the press. Together, upper lips stiffened, teeth gritted, they fight off their twin enemies: boredom and the grim Reaper. And then one day Mrs Palfrey encounters the handsome young writer, Ludo, and we learn that even the old can fall in love....."
As with Jane Austen, Elizabeth Taylor's novels and stories are painted on a small canvas, a group of people in one place and a needle sharp winkling out of their insecurities, thoughts and feelings. I picked this up in a second hand book shop (where else?) and took it home, entranced by the cover. I am sure Virago are fed up with us all banging on about the Green jackets but I bought this purely and simply because it was Green, and discovered a wonderful writer. Another edition and I would probably not have given it a glance and that would have been my loss. A wonderful story. The painting is by Margaret Foreman and is a portrait of Mrs Mabel Whitehead. My apologies to Mrs Whitehead but this will always be Mrs Palfrey to me.